I’m writing this post at 4:30 am. This is how I find time to blog with young kids. 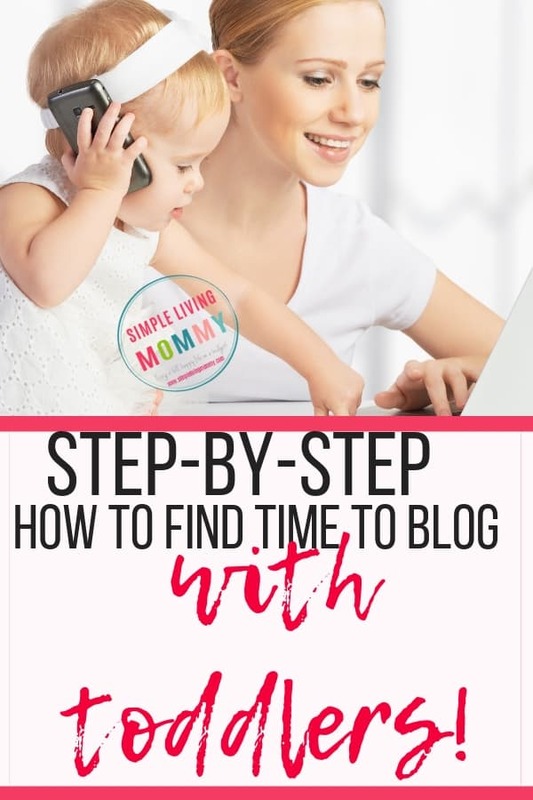 I woke up and decided I should just stay up and get this post written for all of those overwhelmed moms trying to start a blogging business from home. 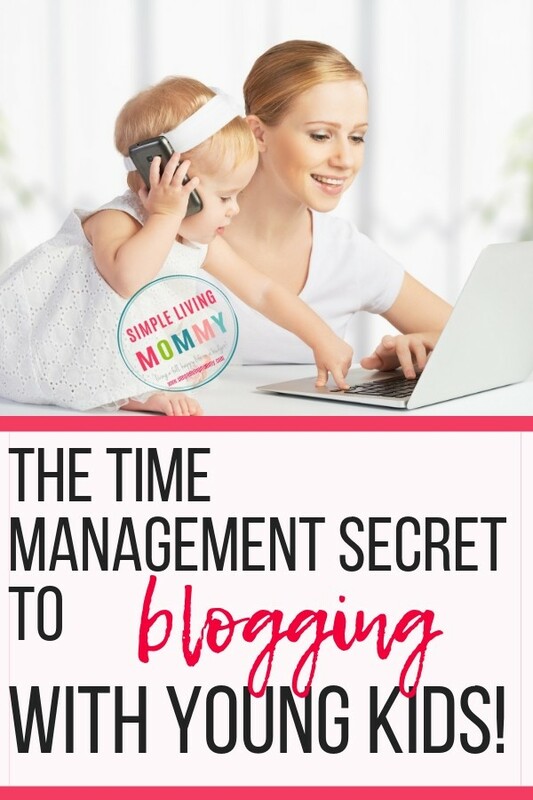 This post was inspired by a new fellow blogger, DaLorean who has the exact same time management struggles as the rest of us mamas of young kids who want the best of both worlds – to start a profitable blog to provide for our families AND to be great moms to our young babies. 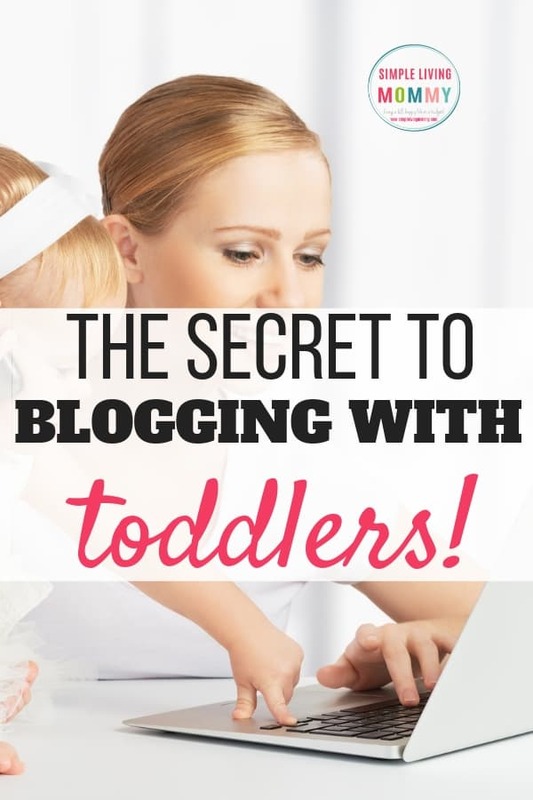 When I started my blog, I totally neglected my toddler. I absolutely hated how I felt, but I told myself I was doing this to set our family up well financially in the future. 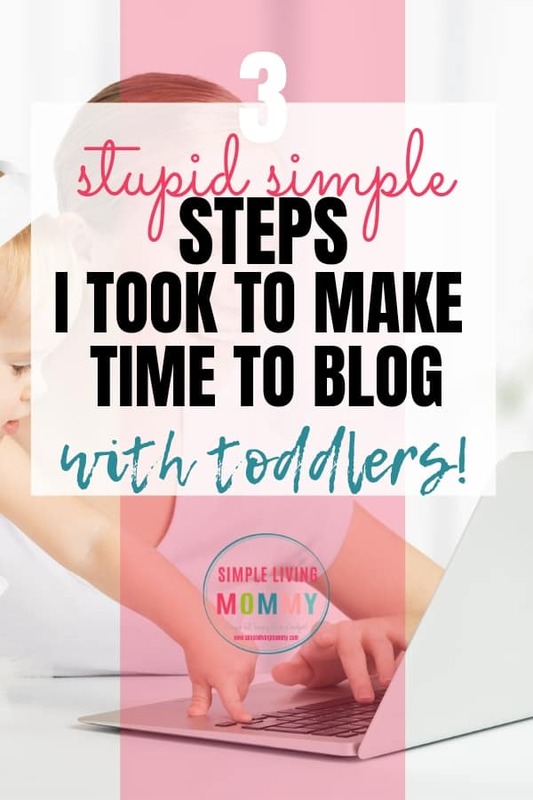 I had a 13 month old and was pregnant with baby #2 when I started Simple Living Mommy. I put my baby in front of the TV, fed him whatever snacks I thought would occupy him the longest, and just got so annoyed to myself when he wanted to play with me. When I would lay down in bed that night…at 2 or 3 am most likely, I would be so ashamed of myself for all the time I was wasting on this blog instead of focusing solely on him. Then, baby #2 came in June so I had a 17 month old and a newborn. I’m forever grateful for that depressed time because it sent me into this existential crisis realizing life is too short to waste my baby’s precious moments working. First of all, stop thinking you can do all the things. If you have a great idea for something, jot it down in your bullet journal, Trello board, wherever you keep notes. (If you don’t keep notes somewhere for your blog, start NOW! It’s the only way you’ll be able to take your mind off of a great product or post idea and get back to doing family things). If you’re a brand new blogger, focus on churning out great, problem-solving content. Remember, write your posts for your reader, not for yourself. What can solve THEIR problem? I dictate a lot of my posts into Google Docs on my phone and then try to understand all of the things it misunderstood about me when my kids go to sleep at night. It’s not a perfect solution, but it helps me get content out quickly. Dictate your posts and call it good. Then stay up later or get up earlier to proofread and make graphics. Speaking of graphics, are you great at graphic design for making your pins? Kara Fidd at Simplifying DIY Design is AMAZING and gives SO much away for free. Get on her newsletter list and get the password to her free subscriber library. I’m currently using her Pinterest templates. Another great option for templates of all kinds is Creative Market. Then it’s just plug and chug each time you make a new post. Speaking of new posts…when I first started, I was publishing a new post each day Monday thru Friday and taking weekends off. I’d still stay up until 2 or 3 each night working. After I was done publishing a blog post, I’d force myself to stay awake to do other things. That’s when I’d do the other things, like make freebies to give away to get subscribers. Get annoyed with figuring out how to make opt in forms on my site…agonize over what to send my 5 subscribers in an email… You get it. Then, I schedule those pins out using Tailwind – you can try Tailwind free for 30 days here. 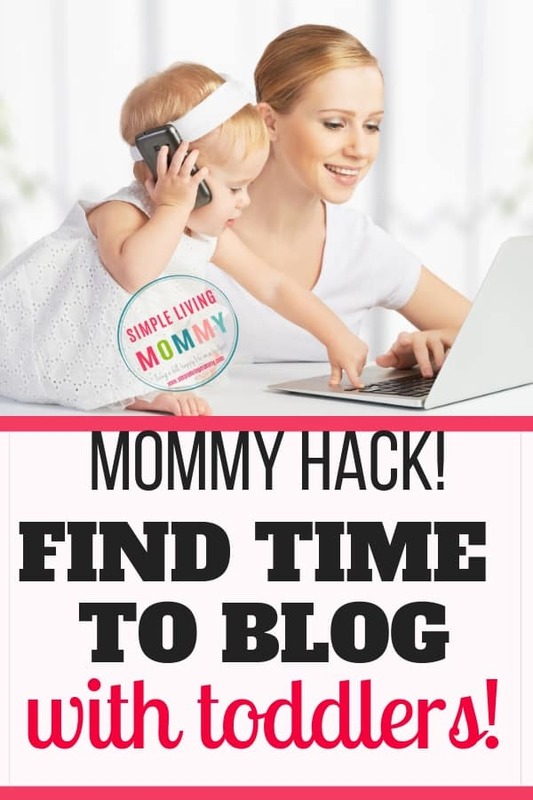 I used to manually pin, but then I realized I had to do something to push my blog forward instead of spending my only blogging time that day manually pinning my pins and trying to keep track of where I put them so I wasn’t spamming board. Manual pinning is important because you need to interact with Pinterest, but I just pin a few pins each day from the Smart Feed, from my notifications, from just about anywhere I can click on Pinterest and they show me pins. I pin from those tabs to make them think I’m a very avid Pinterest user. 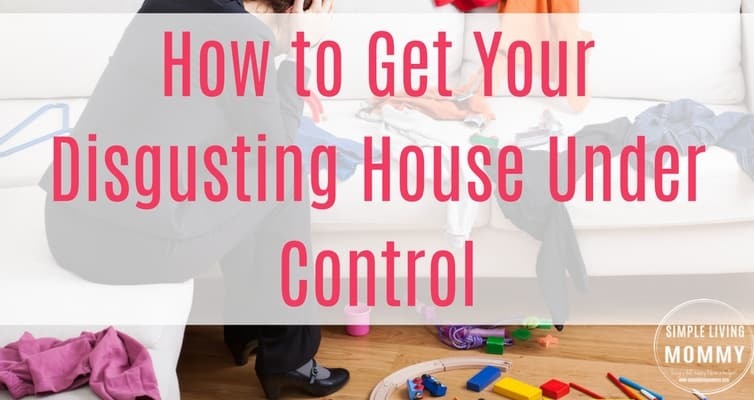 The next thing that should occur naturally if you’re truly focusing on putting out great posts is to avoid chasing butterflies, as my husband puts it. I’ll get so distracted after hearing how great something is working out for someone else that I want to try it. Oh they’re making 50 new pins A DAY and getting THAT many pageviews?! Okay! Let’s stop everything we’ve been doing and start wasting 8 hours a day making pins! You stay focused and keep making awesome posts until you have 40 or 50. Then I’d say you can cut back and start posting on a regular schedule that’s way less grueling. After you have a good base of posts, I’d work on getting a great product put together – an ebook or workbook, even a course of some kind. My working hours are whenever my kids go to bed until 2 am, every other night. It would burn me out incredibly fast if I tried to do that every single night. Instead, taking a night off in between helps me. So use text to talk or dictation stuff to get your posts written, plug and chug templates, and things like Tailwind to schedule out your stuff. Work late at night when your kids go to bed and very early in the morning. Don’t try to do all the things! Content creation is the most important thing in the beginning! Continue your blogging education but you MUST IMPLEMENT what you learn. Here’s my best tip to blog efficiently. Also, I’m letting myself spend 30 minutes a day updating old posts with new pins and affiliate links. Whatever I can get done in about 30 minutes is good enough. Good enough is good enough. Also, I use Amazon affiliate links in every single post. Applying for the Amazon affiliate program is one of those things I would do on the weekend when I wasn’t churning out posts. Make your opt in forms to capture email subscribers, make freebies to offer to get people on your list, start brainstorming products and sketch them out, then just make them. Hesitation time and striving for perfection are huge time and money wasters. Make it your motto to just get it done and move on. A done something is better than a perfect nothing. We purged of over 50% of our stuff and I couldn’t tell you what the heck that even was. I literally can’t remember one thing we threw away. Now we’re trying to throw away 50% again. Well, or donate, sell, you know. Just get it the heck out of my house. Keep out only as many plates as you have people. This way you’re never behind on dishes. Or, if you’re not environmentally offended by this, use paper plates and plastic silverware for a while. Seriously. There are some chapters of life that you just have to cut back the crazy. I wrote a book about cleaning a disgusting house and that’s seriously what I tell people to do. Order your groceries at the grocery store or online, automate your bills, set reminders for absolutely everything you have to remember to do. This goes for any mama of young kids, not just bloggers. There are so many ways you can automate the crap you have to do so you can spend your time doing the stuff you want to do. Your kids are the most important thing and spending quality time with them comes first. Oh and one of the BEST pieces of advice I received lately was about mom guilt. I was never letting my husband watch our kids…well you know, parent them. He’s a parent, he’s not a babysitter, but whatever. You know what I mean. I always felt like when he was home from work, all the waking hours should be family time. I would feel so guilty working for a little bit, even when he was trying to push me out of the house to send me to Starbucks to work. Mandi Ehman from Ultimate Bundles (become an affiliate for them! 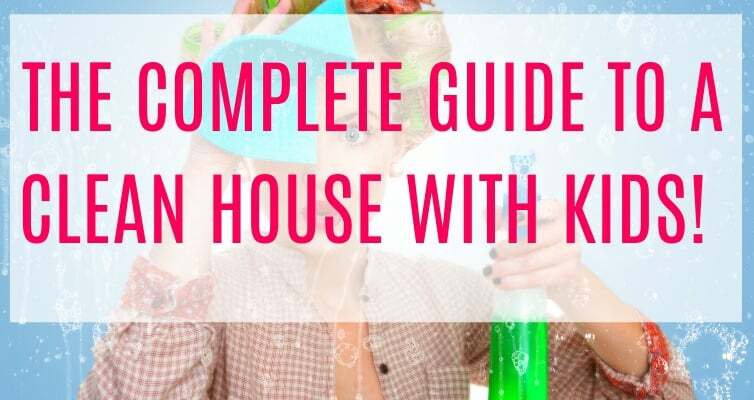 No matter your niche, their products are amaze balls and your email list deserves to know about it) was sitting there during this conversation and she said it’s so important that your kids see you work a little bit. She said they need to know that you aren’t always available to play with them, they need some time to play independently while you’re there to supervise. So, she suggested I tell my kids “okay, let’s build blocks for 30 minutes because at 9 o’clock I have to work for about a half hour”. Set the stage that you’re going to play with them now so they are more accepting when you have to stop playing to do a little work. Right now, I’m spending 30 minutes a day working in front of my kids, and I get a ton done if I remind myself to stay focused. Updating that one post a day is huge in that little fold of time. 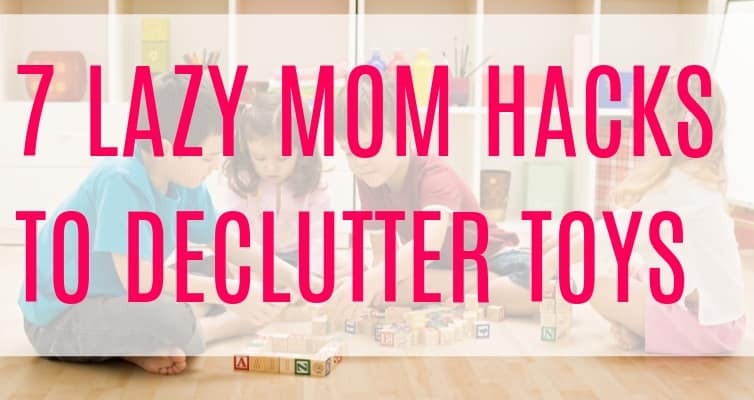 I’m sure I’ve missed tons of stuff, but this is my very quick advice for any mama struggling to find time to do it all. 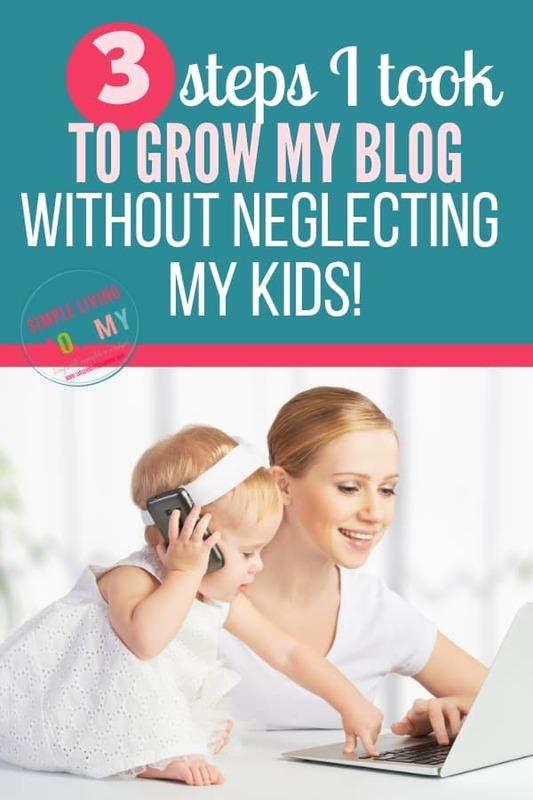 You CAN have a successful blog and kids that aren’t raised by a TV. 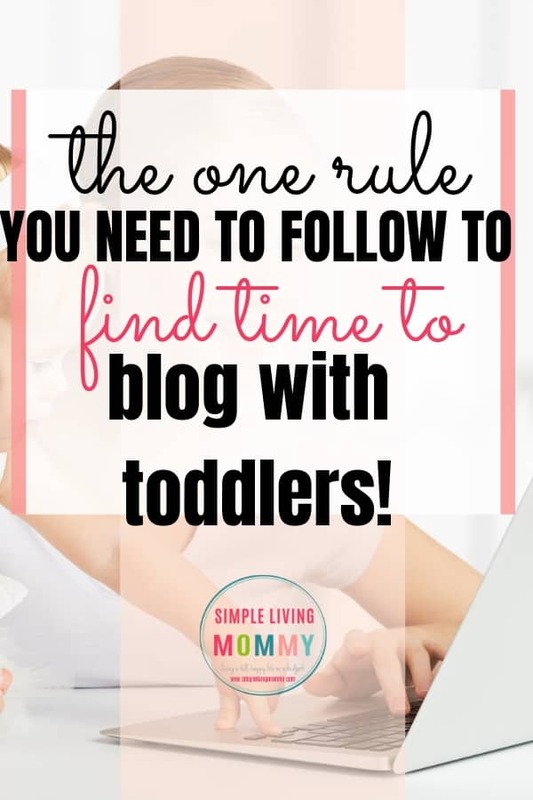 Are you a blogger struggling to find time to work with young kids? What are your biggest struggles? If you’ve found the perfect balance for your blog and family, let me know your tips in the comments!